Qualification : Diploma in Mechanical/Electrical Engineering or B.Sc Degree. Qualification : SSC with not less than 50% marks in Science and Mathematics individually and 2 years ITI certificate (For Trades for which the duration of the ITI course is less than 2 years, the candidates shall have atleast one year relevant working experience after completion of the course. 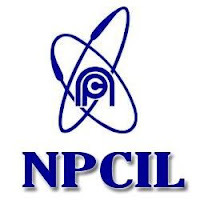 How to Apply : Interested candidates may apply Online through the website www.npcil.nic.in form 30.09.2017 to 25.10.2017.